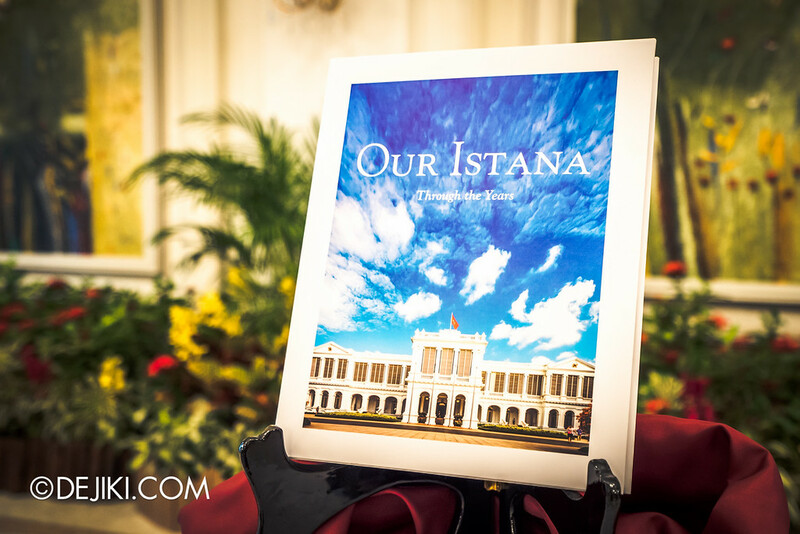 Here’s the story about the book cover of Our Istana – Through the Years. A few months ago I visited the Istana for the first time. I remembered waking up early on that Sunday – I almost backed out at the last minute because it would have been nice to sleep in. 7AM is also quite nonsensical to be ‘early’ for me, because I’m up before 6AM on weekdays. Anyway – turns out it was a good decision to jump out of bed early on a nice Sunday morning. Out of the blue, I received an email from a book team working on a photo book a few weeks later. 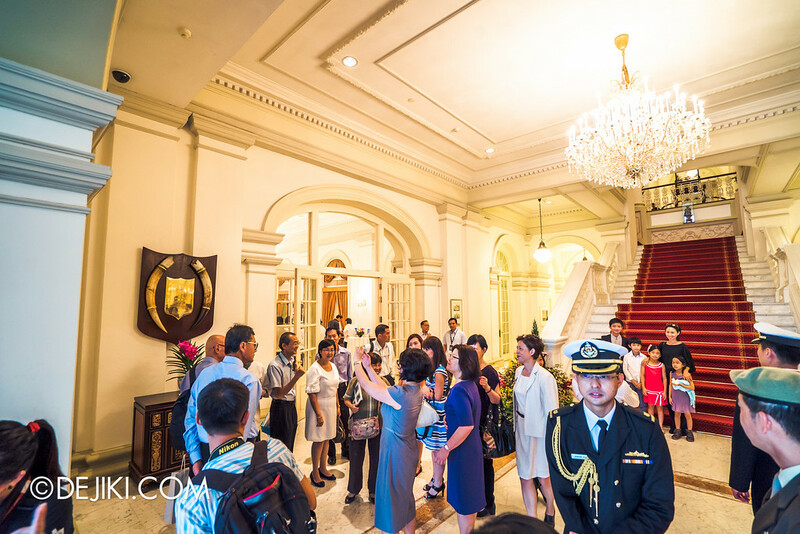 They were interested in using some of my Istana photos for their project. So I offered them whatever they asked, with a generous license – I gave the photos without fee – since it’s for the public good. 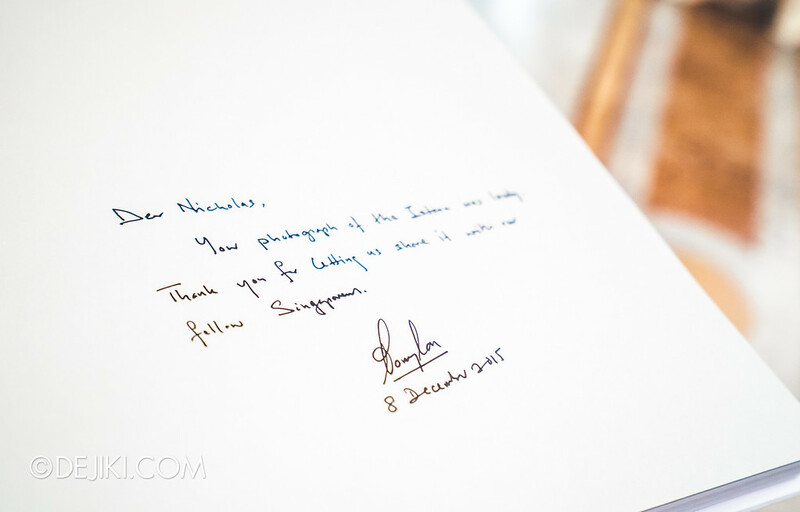 After a series of… happenings, an official invitation from the Istana arrived. Still no word on what was used, and anyway I was going through a very busy period in both life and blogging, so I didn’t check on the extent of my contributions. It was nice to have been asked. On the day of the launch, I thought it was odd to be greeted by several officers at the Istana, and then I was given a slip of paper stating I’m Group 1 for the ‘engagement session’. To make things curious-er, my seat was right in front. Then I finally saw it on the projection screen. 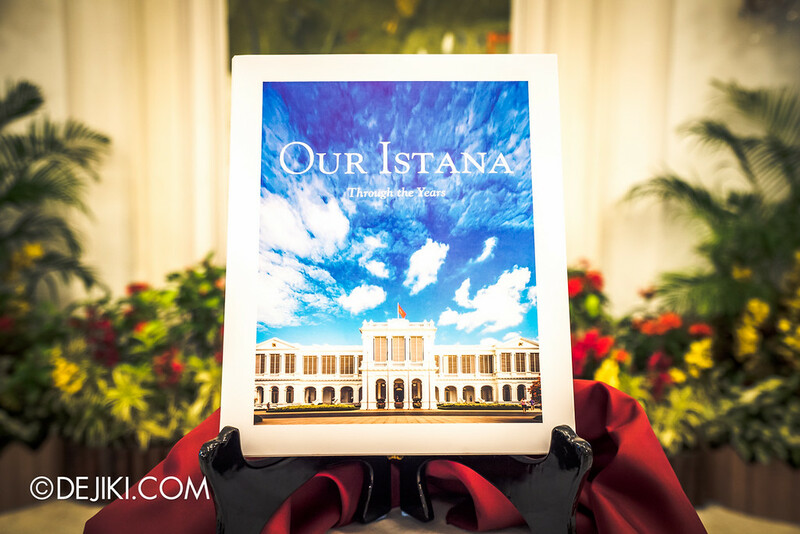 My photo on the cover of Our Istana – Through the Years. The officers then briefed me about the proceedings later. 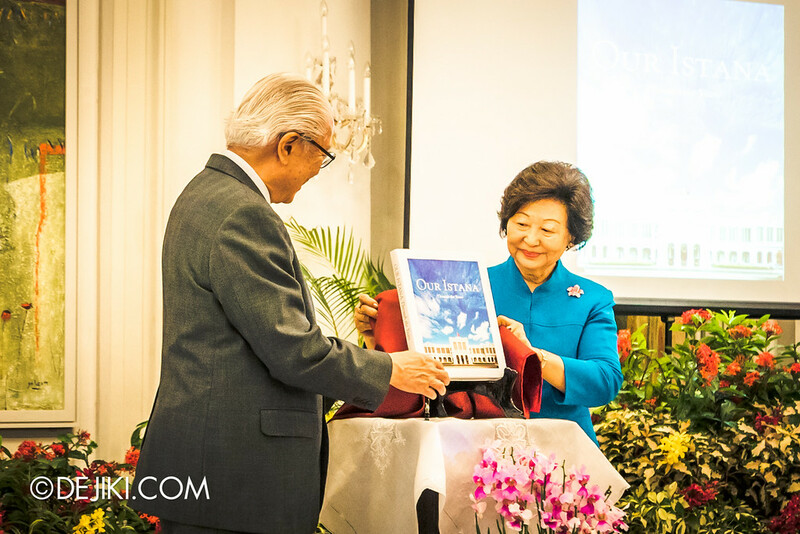 I would be presented with a signed copy of the book by President Dr Tony Tan, and that I was one of four special guests to receive that special honour. It was an incredible surprise, as I was informed earlier that the project team is trying to use that in the design, but didn’t confirm on the final decision. Another photo of mine is in the book – it’s the first full-bleed colour photo on pages 2 and 3. But I guess the cover’s what people will really notice, huh? The other three recipients are the real VIPs: Puan Noor Aishah, wife of Singapore’s First President Yusof Ishak; Winston Choo, Singapore’s first Chief Defence Force and the first Aide-de-Camp to the President; and Russel Wong, elite photographer. Then there was me – Blogger. For the first time I’m at an event not to cover an event, although this entry now exists anyway. 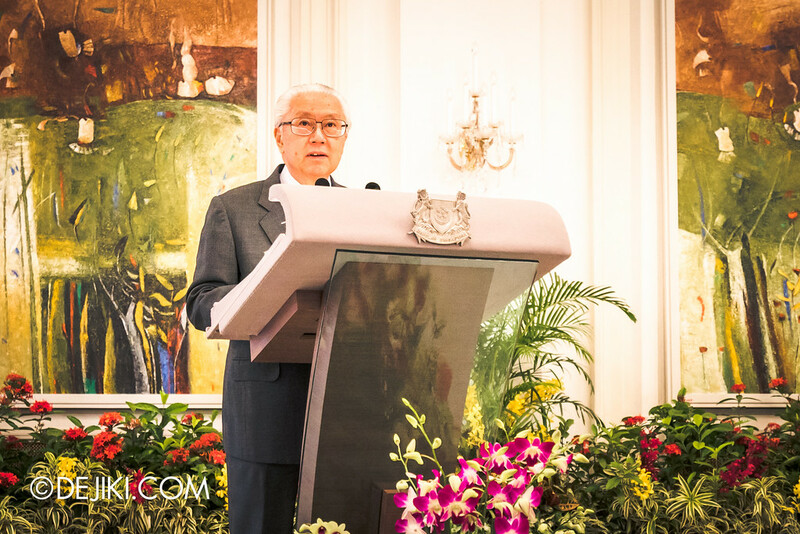 President Dr Tony Tan making his opening remarks on the commemorative book. Dr Tony Tan and Mrs Mary Tan unveiling the book cover. 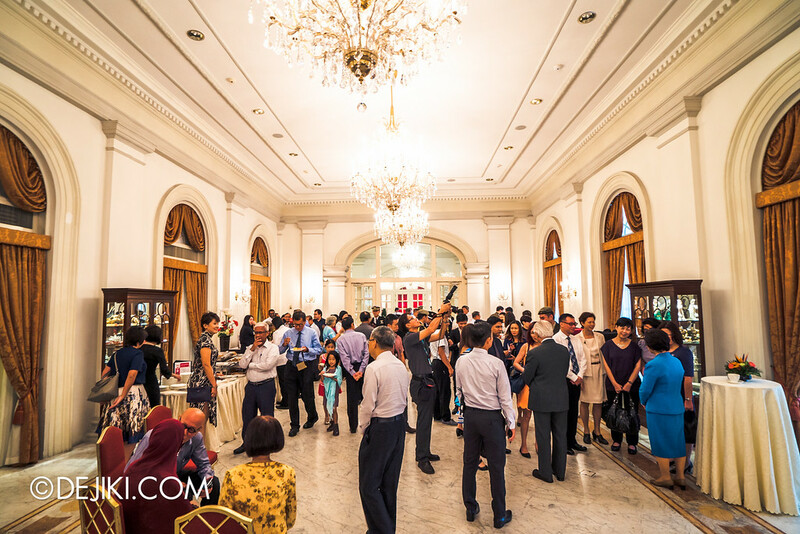 The engagement session after the launch was just a few minutes of small talk with Dr Tan and Mrs Tan. I quickly narrated the story on why I blog about Singapore’s attractions and events. Mrs Tan said that I should print my photos into a book. Perhaps some day I will. Attractions in Singapore – Through the Years, maybe. 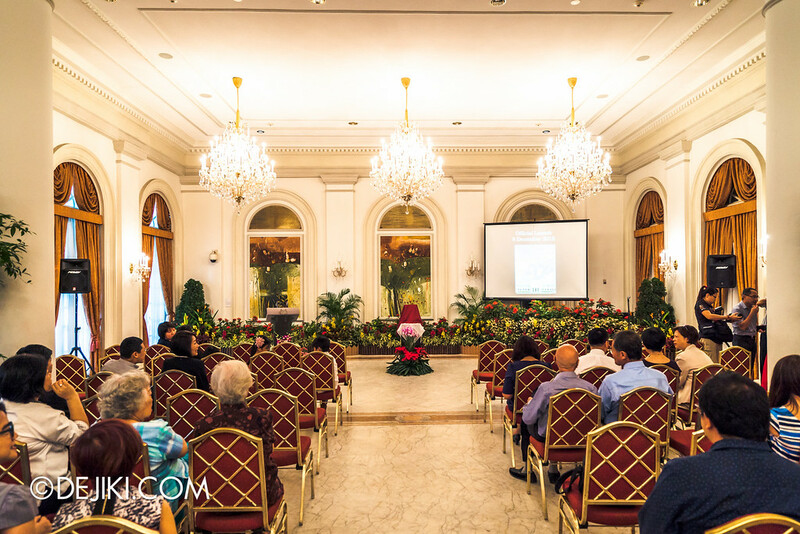 Our Istana – Through the Years can be viewed online at the official website as an ebook. As for the hardcopy edition, it is sold at S$50 each. Proceeds will go to the President’s Challenge Silver Volunteer Fund. Order via email to the to the President’s Challenge Secretariat at ncss_pc@ncss.gov.sg.